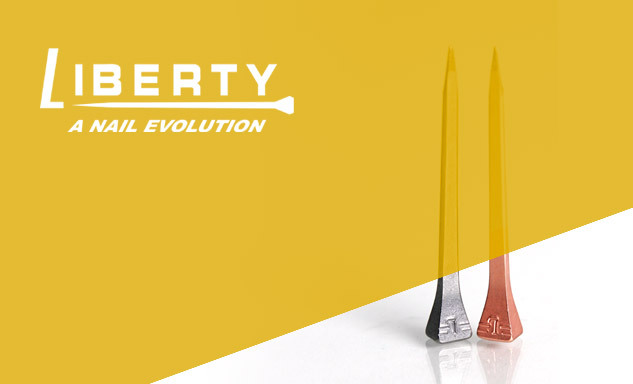 In 2010 the Royal Kerckhaert Horseshoe Factory introduced Liberty horseshoe nails - a nail evolution! Liberty are Innovative, uncompromising horseshoe nails, designed and made by Kerckhaert, from start to finish. Liberty horseshoe nails fit the fine creases and nail holes of Kerckhaert horseshoes perfectly and have many improvements, compared to traditionally made horseshoe nails from other brands. In order to make horseshoe nails of superior quality, Kerckhaert had to completely reinvent the traditional manufacturing technology. This makes Liberty horseshoe nails better than everything that was available before. Your Farrier is a skilled craftsman, who has studied and specialized in horses hooves for years. That is why you can trust him to know exactly which horseshoes and nails will be best suited for your horse. The fact that he stocks Liberty horseshoe nails shows you he is fully up to date in his craftsmanship and he cares for the health of your horse, even when he is not around. Liberty horseshoe nails are available both as traditional (steel) horseshoe nails and with the additional option of Cu Shield Technology™. Liberty Cu have the same characteristics as all Liberty horseshoe nails. Additionally the copper does not rust or wear inside the hoof and when used on a daily basis hoof wall, white line and sole are stronger and healthier.